A Beaconsfield based firm has received a business boost from Retail Entrepreneur Theo Paphitis. 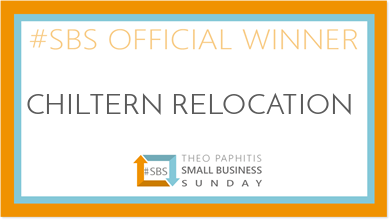 Sharon Hewitt, owner of Chiltern Relocation tweeted Theo about her business during ‘SBS’ and was one of six weekly winners to gain a retweet by Theo to his 500,000 Twitter followers. The weekly initiative, set up by Theo in 2010, now has over 2000 #SBS winners and supports small businesses in the UK. 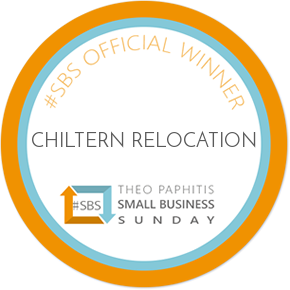 Business and retail entrepreneur and self-confessed Shopkeeper, Theo re‐tweeted Chiltern Relocation’s message to his almost 500,000 followers and as a result, www.chilternrelocation.com has 30% more followers and enquiries for their Relocation Services. They are also profiled on the #SBS website (www.theopaphitissbs.com) that is exclusive to all SBS winners.